Blogging is creative and intellectual work. Now there are many platforms on which it is possible to open and conduct your personal blog, but many aspiring bloggers lose their enthusiasm and desire to continue writing because it requires lots of time and this activity does not always bring in return finances or even visitors. 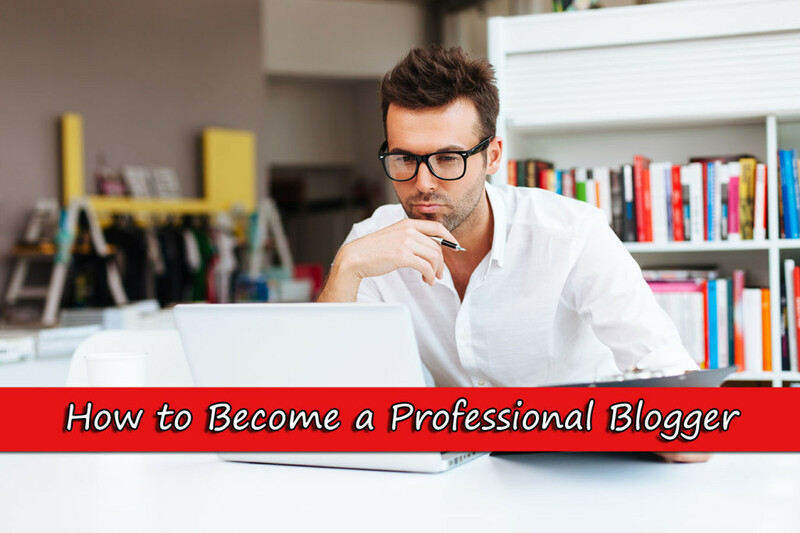 I prepared this article to help every person who wants to start blog to succeed in this field; from it, you’ll learn about ten most important skills that are Must Have for everyone who wants to be professional blogger. For many aspiring bloggers, it is more like favorite hobby but if you decided to become professional and want your blog to bring you money you have to approach it as if it would be your full-time job. If you post articles only when you are in the right mood, you risk losing your audience. My first advice – learn how to manage time wisely. You should be able to organize your working day and regularly post new things; someone who is not able to self-organize will not be able to achieve success in blogging. Knowledge of HTML, SEO, marketing, and social networks is strict MUST for every professional blogger, today thank to platforms like WordPress bloggers no longer need to waste lots of time and money to start out, but this knowledge will make your way to the starts easier and much quicker. You shouldn’t put up with work that doesn’t give you feeling of self-development and constant learning; every person, including you, has much higher potential than he or she thinks, and it is necessary to work hard to reveal it. There’s only one way to achieve it – set difficult tasks and solve them; when you develop in personal and professional senses you become one step ahead of your competitors, and your readers will fell and respect it! Don’t be afraid to risk and make mistakes because they give invaluable experience. Aim for adventures, look for new opportunities, participate in activities and don’t be afraid to make unconventional decisions, it will allow you to stay ahead. To achieve success in blogging you must be inspired and motivated. It’s almost impossible to succeed in something without motivation, and believe me, it will sometimes leave you so you will have to motivate yourself and find new sources of inspiration. Not everyone can find motivation and if you are among those people who find it difficult to forceyourself to action, then maybe blogging is not for you? If you decided to start blog, choose topic that will be interesting not only to your readers but for you as well because readers must see that you are familiarwith your topic and can teach them something. If you do not understand what you are talking about or at least don’t have interest in it, then you are unlikely to become successful blogger. Don’t try to copy someone's style of writing, design (template), subject of articles, and so on because people are interested in learningsomething new, something that they have never read or seen. Be unique. Being unique and original is difficult, but the reward for these torturesis high – veneration of subscribers, respect of other bloggers, and high attendance of your resource. At some point, you’ll want to give up on this idea. It is necessary to motivate yourself constantly and stock up on patience because in first six months you should not expect good results in traffic and monetization. As for second one, I do not recommend at all resorting to this on your first year of blogging because in the beginning it’s necessary to gain trust of users and search engines. To become respected author, it is necessary to have special skills; you must be able to present your thoughts properly to readers because ability to present information in an engaging way is the key to blogger’s success. If you doubt in your writing skills, you should remember that it’s never too late to learn and the only thing that can help you in this matter is practice; join some classes or register at writing services like EssaySamurai and combine mastering your writing skills with earning some money. Everything you write about must be interesting and refer to topical themes; you need to understand what your reader wants to hear at this moment, and you must give it to them timely. Author’s bio: The author of this article Mary Brains is a professional and successful blogger and content writer In this article she will give you useful tips that will help you achieve bigger success in blogging. In 2010 and prior blogging was just enough. These days we see lot of startup Bloggers but now only professionals does carry it to the next level. So these skills are definitely needed. Once a newbie, now become proffesional. Taking the blog to next level not depend on the designation, it depends on the effort they put on their commitment. Thanks for dropping your comment here. Keep coming yogesh. I just follow my mood and write accordingly because I think like without having a right mindset you can’t write a quality post. I just share info on my blog when I get something valuable and unique. However, we should also make a schedule because consistency is also crucial for blogging success. I agree with you, without interest we can't do anything. Depend on our mood, we have try to utilize whatever we can do. Time is Gold. As a blogger, scheduling is an important task to overcome the inconsistency. Thanks for stopping by. Keep dropping comment here. Hello Raaja, these are some of the very necessary skills now to survive in blogging. For a person who is willing to enter blog-o-sphere, he must know these skills to survive. You have mentioned it right- one must always educate himself in order to be in the race because the competition is increasing day by day and only that person will be successful who has the willingness to learn something new always. yes i completely agree, self discipline is the most important mantra for any success, be it blogging or any other field, but rarely we are disciplined towards our work. patience is other important factor which is highly required for blogging.